Hello everyone, Today is all about cleaning the insides of the sewing machine we are trying to rescue, resurrect and return to usable service. We are going to assume the machine we are trying to resurrect will not turn. We’ll talk about 3 things that create the stuck or frozen machines and how to eliminate each of these without damage to the machine. 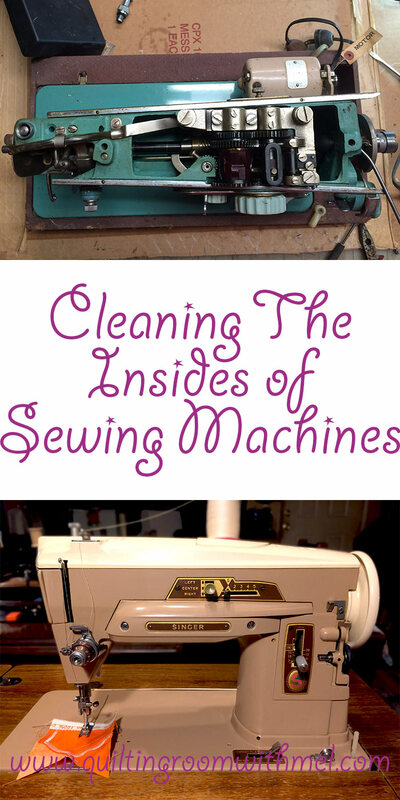 These three things apply to all mechanical sewing machines regardless of manufacturer or type. I am going to discuss the basics of disassembly of a vintage sewing machine but will leave the specific details to the manufacturers. The first thing we need to do is try to determine exactly why our machine won't rotate. 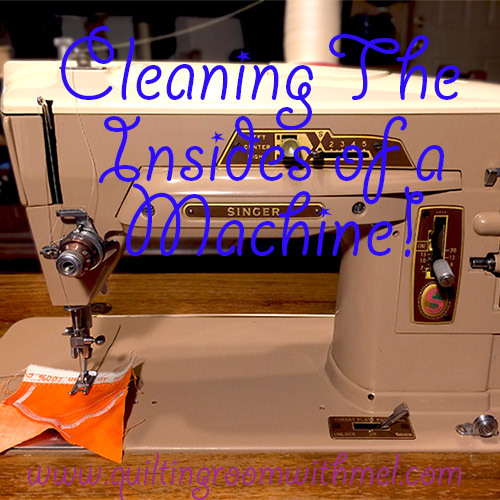 There are 4 actual causes as to why the mechanics of a sewing machine fails. We won't be doing much with #4 other than to identify that there is physical damage that will require more than this blog post to fix. Of the remaining 3 causes, 2 of them are very similar and the 3rd kind of bridges a gap between #1-#2 and #4. So now we have our sewing machine head on our work bench, or kitchen table usually protected by the cutoff side of a cardboard box. Yep, I have been there before. Anyway, our machine head is really stiff and drags hard but it can move. We have removed the top cover and have access to the underneath side and also to the needle drive behind the nose cone of the machine and the shuttle/bobbin area. As we look and inspect each of those areas we are determining if we have a thread tangle wrapped around something binding us up or if it is rust or old hard oil and gunk build up keeping us from spinning freely. For this exercise lets assume our culprit is #1, Old oil over the years has combined with dirt and maybe a few fibers from fabric and is now hardening into a substance closely related to varnish or shellac. Another few months and it would have completely stopped our machine from being able to move. In this circumstance, my favorite choice of cleaner is good old rubbing alcohol, cotton balls, paper towel, and in lieu of small nylon brushes I use Mel's toothbrush. Keep in mind we discussed the downfalls of rubbing alcohol and the finish on the outside of our machine so be careful to keep it only on the parts where you can control it. My second best choice is petroleum based penetrating oil, a little easier on the outer finish but it takes longer to dissolve the gunk and generally causes more mess. We all have our favorites. Any will do the trick. Remember our machines are steel, aluminum, and very little plastic. Don’t let anyone scare you into a coronary because you use penetrant oils like W/D 40 to clean your machine. You're going to wipe off the excess once the machine is free and moving, you’re going to properly oil all of the bearings, joints and moving pieces with your choice of SMO and frankly, the machine doesn’t care what you use to bust up the gunk, after all, it is just steel and bearings. No magic to behold. problem may be the foot as that's what makes it slant . There is a prion to use a slant adapter so you can use the snip on feet. I found the roller door and others work fine.Just make sure your fit pressure on the fabric is not high. Awesome post, thanks! I have a new home light running treadle & am in process of unsticking the stitch regulator. This has been very helpful!